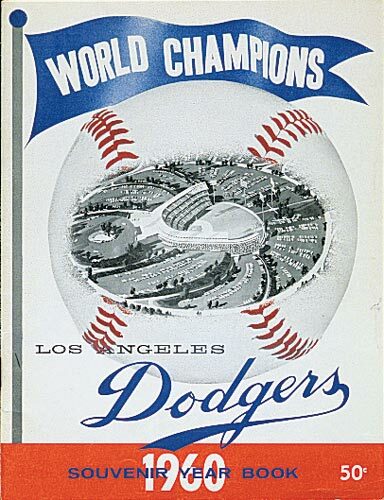 The afterglow of the incredible 1959 Los Angeles story faded quickly the next season, as the 1960 Dodgers went 82-72 and finished 13 games behind Pittsburgh in fourth place. 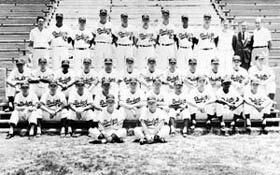 In July, the Dodgers were still in the race as Don Drysdale won six straight games and Stan Williams had five wins in a row. But, after a 19-7 run got the Dodgers temporarily into the thick of things, they slipped back again. Small consolation, but the Dodgers did finish ahead of the rival Giants, who were 79-75 in fifth place. Leading the “what have you done for me lately” question was six-foot-seven Frank Howard, named N.L. Rookie of the Year as he was called up from Spokane and played in 117 games. He hit .268 while belting 23 homers and driving in 77 runs. Duke Snider had 14 home runs and 36 RBI, while Wally Moon added 13 homers and had 69 RBI. Speedy Maury Wills led the N.L. with 50 stolen bases, one shy of A.L. leader Luis Aparicio. Don Drysdale was 15-14 with five shutouts and a 2.84 ERA, while leading the N.L. with 246 strikeouts. Behind Drysdale was Koufax’s 197 strikeouts, pacing Dodger pitchers to the most strikeouts in baseball with 1,122. 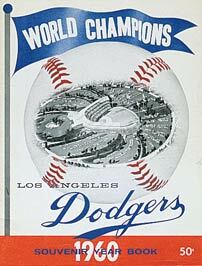 Coming off the World Championship success, the Dodgers had their best all-time home attendance at 2,253,887. 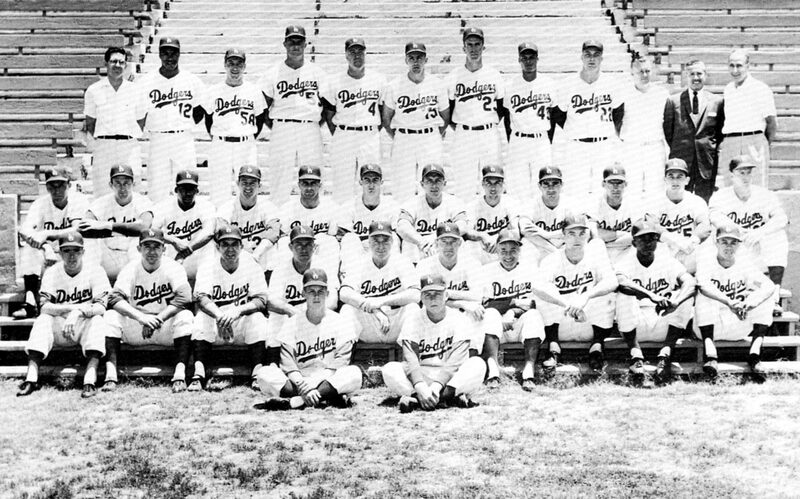 While Gil Hodges, Snider and Carl Furillo, The Reading Rifle, were still with the Dodgers in 1960, it was becoming a transitional club as the likes of Norm Larker, Tommy Davis and Willie Davis were emerging on the scene. It would be the last hurrah for Furillo, who had been such a popular and successful right fielder for the Dodgers in Brooklyn, as he played in only eight games in 1960 before his release. He had just started his 15th season and had a .299 lifetime batting average with 192 home runs and 1,058 RBI, while playing in 1,806 Dodger games. He had been on seven N.L.-Pennant winning teams. On Oct. 26, the American League voted to expand to 10 teams in 1961, with clubs in Los Angeles and Washington, D.C. Walter O’Malley fully supported the expansion efforts by Gene Autry, “The Singing Cowboy,” to bring the Angels to Los Angeles despite the shared market territory the Dodgers would encounter. O’Malley was among the first to offer congratulations to Autry when he was approved as the Angels’ owner on Dec. 7, 1960. The Los Angeles Angels initially played at Wrigley Field in 1961, previously owned by O’Malley before his 1957 agreement with the City of Los Angeles exchanged the deed to it for land at Chavez Ravine and his obligation to privately build and maintain a 56,000-seat stadium. In addition, the Dodgers were to pay annual property taxes starting at $345,000 and develop a 40-acre recreational area at a price up to $500,000 and annual maintenance fees of $60,000 for 20 years. As construction was underway, O’Malley and Autry worked out a four-year lease agreement with a three-year option in which the Angels would share new Dodger Stadium beginning in April 1962. Click image for a larger view1960 Dodger YearbookCopyright © Los Angeles Dodgers, Inc.
Click image for a larger view1960 DodgersCopyright © Los Angeles Dodgers, Inc.
Dwight (Red) Adams, Cliff Alexander, Hugh Alexander, Romanus (Monty) Basgall, William Brenzel, Matt Burns, Roy Campanella, John Carey, Leon Hamilton, Andy High, Henry Majeski, Kenneth Myers, Harold (Lefty) Phillips, Jake Pitler, Rudy Rufer, Jack Warner, Jim Weaver, Bert Wells.